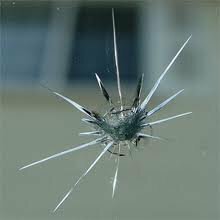 Windshield repair is a fairly quick and inexpensive process. It takes 30 to 60 minutes and may even be covered for free on your auto insurance policy if you carry glass coverage. We can help check with the insurance company to find out if you are covered and do the paperwork for you - usually in less time than it takes to perform the repair. The windshield repair process is designed to prevent the spread of damage from the initial point of impact. The degree to which it will improve visually will usually depend on the type of damage - some improve more than others. We use the latest, most dependable methods of repair and we will always be honest with you regarding the chances of the repair being successful. Occasionally some damage will exceed the repairable size limit and be undetectable, even to us. In those cases the crack that exceeded the repairable limit will run beyond the originally damaged spot during the repair process or shortly afterward. In these cases we will discount the amount paid for the repair from the cost of a replacement windshield. Did you know that weather conditions can affect your damaged windshield in two different ways? Rapid temperature changes can make that small stone chip spread into a large crack in the blink of an eye. It is especially important to have chips repaired as soon as possible when they occur in a cold season, in order to prevent them from spreading one chilly morning when you've turned on the defrost. Performing a windshield repair is more complicated, and so takes longer, on rainy or extremely cold days. In fact, we sometimes recommend rescheduling a repair appointment if it happens to be a rainy day.